In the summer of 1964 a team from the Vancouver Aquarium set out to kill a monster so they could study and dissect it. On the morning of July 17th, 1964 the team from the Aquarium harpooned their prey. When the harpoon only wounded the monster the hunters shot it with a rifle, determined to kill it before it killed them. But when the giant didn’t attack the hunting party began to wonder if, just maybe, killer whales weren’t killers after all. 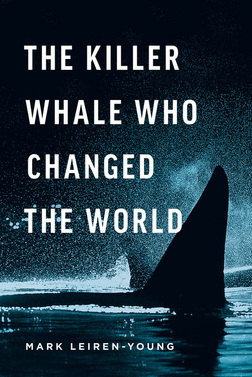 The Killer Whale Who Changed The World explores the transformation of whales from “killers” to “Orcas” - from monsters to pets to ambassadors of the ocean. Based on Mark Leiren-Young's best selling book Available on Amazon.